One of the things that I was most pleasantly surprised by in the Bargello was all of the decorative accessories on display. From jewelry to textiles to home decor, there seemed to be beautiful old items at every turn -- in addition to fantastic sculpture and architecture. 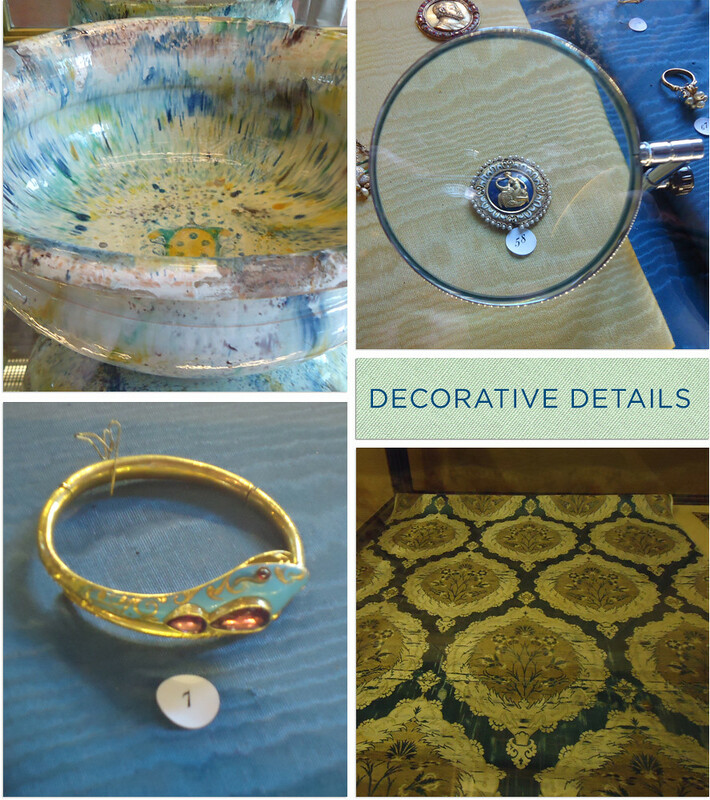 What really caught my eye was the tie-dyed-meets-Missoni-meets-Medici pottery, pictured in the top left of the above collage. Honestly, if that was for sale right now I'd scoop it up in a second.